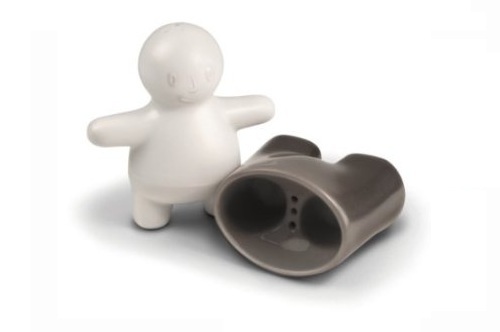 This spicy little guy dispenses salt from the top of his head and he’s got something special in his trousers…pepper! Salt & Pants is finished with a fine matte glaze that passes California’s ultra-strict standards for heavy metals and lead. It’s supplied with two durable silicone stoppers and packed in a colorful protective gift box. Price: $6.82 & FREE Shipping on orders over $25.